We are a one of a kind business in a one of a kind location!Known as the of the giant instruments.You'll know your there for sure when you see the red, white, and blue 30 ft. electric guitar out front by the highway.The giant instrument that we built ourselves, were inspired by old style route 66 road side attractions and is a real great conversation piece and a fantastic photo opportunity for tourist and visitors. The Mouton's have been building accordions since 1960 making us known as the oldest running Cajun accordion label.We provide musical lessons with qualified music teachers. We not only manufacture hand crafted Mouton accordions, we also manufacture all of our own metal work and custom leather work used in our instrument building process, making the Mouton accordion a true, custom hand made instrument. We have a full service guitar repair shop. 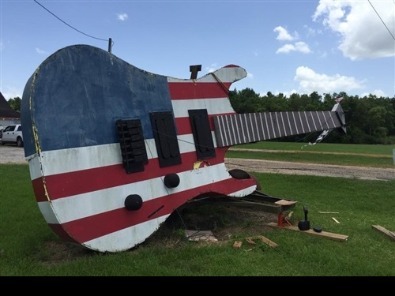 We specialize in Louisiana music and the Cajun culture while at the same time promoting all types of musicians and visitors!